Places Everybody! Miss Frizzle Goes Pharma. Thank you for the article, I hope that this could be shared on a much larger scale. People are so polarized and conditioned to responded with extreme emotions to the issue making real information hard to discuss. I am concerned about my great grandson. The mom is adamant about keeping my now 2 year great grandson updated on vaccines. He has skin conditions, seems always sick. He is and was super bright but seems totally withdrawn now, not not making eye contact very often. I love him more than anything and fear for him and his well being. Kids today take in 50 or more vaccine shots by the age 16 or so compare to maybe a dozen in the 70's and 80's. Julie Gerberding, a former Director of the CDC, is now head of Vaccines for Merck. She owned about three million dollars of Merck stock. This close connection between the CDC and Merck is unconscionable. Doesn't anyone get it? The drug companies get a pass on being sued for any vaccine problems by including a charge in each vaccine to cover any wrongdoing. I am 88 years old and never had heard of autism while growing up nor raising my children. It was only later that it appeared. The families I first heard about having an autistic child were not poor but quite wealthy. They started schooling in Houston for their children. No honest intelligent person would use mercury in any vaccine. I remember when I started using contact lenses. My eyes developed a red rash. It was the mercury put in the rinsing solution. We learned much about mercury when the "Hatters" became MAD. Madhatters. History repeats itself. For a CDC director and Merck to be so closely associated is plain wrong. How could Gerberding be unbiased about vaccines? She owned so much Merck stock. Does no one see a conflict of interest here? I so appreciate all of the comments by intelligent people who know the truth by their gut on the results of health after a taken vaccination. I learned a lot from all of your comments. I am in my 70's and question the amount of required vaccinations for children. There was a time when the medical industry said children under two or an even higher age should not have the flu vaccine and this included pregnant women. Well, not so today. This is all we hear on TV - "get your shots". The only vaccinations I have had was smallpox. I never got the measles or mumps. I unfortunately took the Dtap when I graduated college in 2010. After the shot for tetanus, I was told about also receiving the diphtheria shot. Not long after, my arthritis flared up for the first time. I often wonder if there was a connection. Our child was given HIB vaccine .. Immediate Kawasaki Disease. Kawasaki Disease went untreated for 8 days even thought we went to one of the top pediatric centers in Tenafly, NJ. He was near death upon entrance to Hackensack Medical Center. Months later he was given 1 MMR. within 20 days he lost the use of his legs, moaned and was bumping and falling. I took him to Colombia Presbyterian because I believed he had a possible brain injury and they are the best. As I was in hospital I asked for a specific blood test.. he tested positive for Atypical Kawasaki disease, vaccine strain measles and the mumps. Our son was placed on the ASD spectrum and had a 1 to 1 aid for his entire schooling thus far. Working tirelessly to recover my son this year is his first year without a full time aide. They damaged my beautiful child. It was 100% the vaccines. I am here to say that Kawasaki Disease needs to be reevaluated... I believe it is a vaccine injury so clear there is little to dispute. Every single vaccine being given in the USA is being done by continuing Criminal Enterprises. Every single major pharma player has pleaded guilty to criminal and civil fraud. I will not shoot anything made by criminals into my offspring and no citizen should be forced to. #wearenotgoingaway. Baja Joes, thank you for putting this self-evident truth in black and white. Of course, you must be right, and not just for the deaths but all the injuries, illness and ensuing consequences. Let's all speak up for natural justice! It is my opinion that Congress exceeded their authority by granting freedom from lawsuits to the pharmaceutical companies and eventually a lawsuit brought before the US Supreme Court will acknowledge this error. They cannot grant exclusion of liability for causing Deaths and it will soon be shown as such. @Peter Jensen, I agree those are important considerations. I suspect many here would say that both reducing or avoiding vaccine exposures (injected pollutants into closed bodily systems) and reducing and avoiding pesticides and other harmful chemicals (such as glyphosate which has been found to contaminate vaccines also) that might enter through inhalation, oral, or absorption through the skin, though with some built-in filtering, are important, but probably the injections into closed bodily systems are more profound in impact. My personal bias, based on my experiences, would add the increasing exposures to wireless radiation and active electronics as an added concern to be studied. Another bias to consider occurs in diagnostic practices influenced by vaccination status. 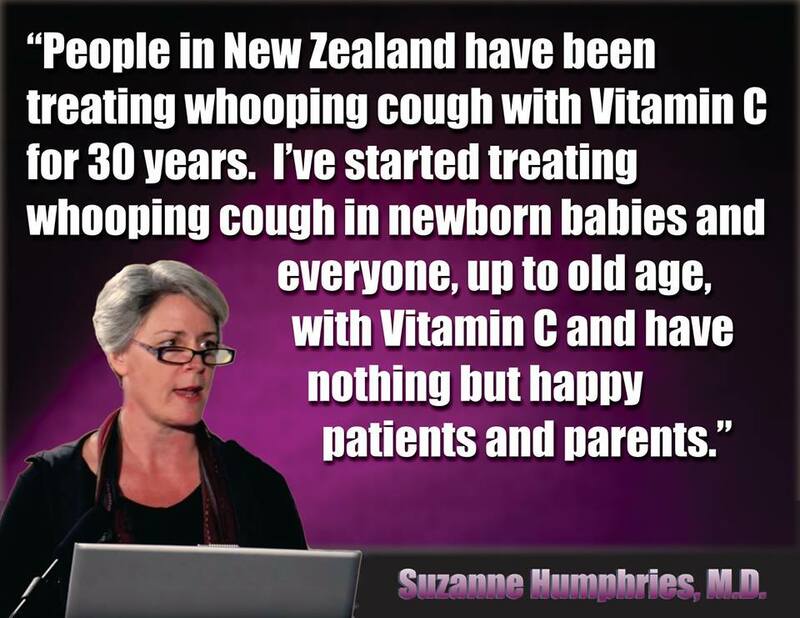 For instance, there are cases of parents having to spend weeks getting whooping cough/pertussis testing for their vaccinated, but ill children, so they can get appropriate treatment. How many parents just accept whatever diagnoses they are given? Or give up without accepting the diagnosis maybe, and tough it out with whatever remedies they can use on their own, so that they are left suspicious they've experienced an illness but without documentation? I believe, but am not certain, that this survey asked for diagnosed conditions. I suppose further surveying could ask for recall of all infections, their symptoms, severity, and duration to get an idea of general all-cause infection severity. One of the key issues here is questioning the inherent biases of the home schooling mothers when answering the survey. But just as importantly, as someome married to an anti vaccine view mum who I love and respect, I can only speak for my own experience, but she is a lot more careful in terms of using organic, pesticide feee products and avoiding traditional medicine generally to create what she perceives as a “healthy” natural household. I appreciate that and why would I not. So even if we take the replies of these mums at face value and even if (which is a big if in my mind with all due respect to those including my wife who hold the opposite view) we accept the results indicated by the so called pilot study, there could be a whole lot of other reasons explaining the differences all the way from the home cleaning products they use, to whether they drink tap water or use charcoal toothpaste. They are also more likely to minimize the stress of learning and hours studied each day as distinct from those vaxed home school mums who may in fact have the opposite goals – that is, believing that the school system does not push their kids hard enough. So the the vax mums may produce kids with higher anxiety and stress. It is of course all just speculation. The anti vax home schooling mums may have got it right somewhere (and likely did) and produced healthier kids or kids with less NDD issues, but by ignoring all these factors which would be too numerous to study, there is an obvious question mark. The simple question of whether your household uses organic products where possible, for example, might have been a sensible inclusion at this pilot stage. Thanks for that correction, John, that's what happens when I try to write too early in the morning! Yes, I take your point and I didn't mean to criticize people. In fact I'm glad to see the discussion moving in this direction. I think you mean "genteel" not "gentile" -at least I hope you do. As an editor of AoA (or just as myself) I certainly do not have a view that people should not engage in civil disobedience, I think people need to assess what is the best option for them in a given circumstance, and there are going to many different circumstances in the grip of this new form of vile totalitarianism. Dee, thank you for your interesting comment. I'm sorry you were unable to have children, and I hope your animals have brought you much pleasure. I too noticed symptoms of autism in our dog, after I'd discovered that my family and I are all affected. I agree with you that the time has come for civil disobedience and I've been practising it with great results for some years. We really need to organize ourselves on this issue, but I'm afraid most families living with autism are either too busy, or those who have enough time/resources to write on AofA are too gentile! Raising the issue here doesn't seem to get anywhere. My husband and I have no children. Unfortunately, we were never able to conceive. Vaccine damage? Could be as both of us were vaccinated as children and young adults. Our family has owned cats, dogs and horses for 45 years, both vaccinated and unvaccinated. The unvaccinated have been far healthier, smarter and live much longer. They've had no chronic disease, no behavior problems and are never ill. Since their generations are much shorter, the vaccine damage has been very easily seen and it's worsened with each generation. Same can be said for the unvaccinated with the differences between the two being tremendous. Then there's the freedom and religious belief issues. No way is any person, organization or government allowed to force these poisons into the bodies of humans or animals. It's simply not their decision and this needs to be settled by either a vote of the people or the Supreme Court. Time for civil disobedience on a worldwide scale IMHO. My mom repeatedly make the comment "There is something funny going on with vaccines" when she would come home after her shift as an RN at the local community hospital during the 60's and 70's. It was many years later that I started paying attention to the articles questioning the mainstream mantra that mainstream medicine could do no harm. We thought you were making your reminiscences up and your given email address hints at abusive intent. I posted a long well thought through comment discussing the study, is there a reason you chose not to allow it? Censorship of discussion and debate on this issue hardly inspires confidence in the organization. "One of my adult sons is unvaccinated and like Robert's son has hardly ever been to see the doctor except for breakages, and whooping cough which he caught from his fully-vaccinated classmates "
We now KNOW, those of us unconnected to the "health agencies", that all that is required to PREVENT and CURE Pertussis is Vitamin C in gram amounts/day. The "pertussis vaccine" is UNNEEDED, does NOT work, spreads Pertussis, is immunosupressive and weakens the human herd. Please note how the DTaP figures into Autism generation. "Do we really want to bring back small pox, measles, mumps, polio, etc. Do we want infant mortality to increase to levels pre-1930's?" What we all want is healthy kids, and unvaccinated children are healthier than the vaccinated. Do you really imagine that living conditions haven't changed since the 1930s or even the 1960s? How do you explain the huge rise in the measles mortality rate from 1 in 10,000 before the introduction of the measles vaccine when millions of Americans were living in poverty to 1-2 in 1000 today? The CDC tells us "1 or 2 out of 1,000 people with measles will die, even with the best care". Can this be possibly be true when parents didn't start worrying about measles until the vaccine came along? One of my adult sons is unvaccinated and like Robert's son has hardly ever been to see the doctor except for breakages, and whooping cough which he caught from his fully-vaccinated classmates so I also think it would be a good idea to study the immune systems of healthy unvaccinated adults who have had little need for doctors in their lives. What's keeping them healthy? My 87 year old neighbor told me he never saw ONE case of autism, that kids were healthy in his day. How many times must we see the same pathetic cover up that appears to be coming to pass once more? I for one am sick of it. The repressed science is more than clear to me. "Vaccination" is grossly and severely damaging our kids, our seniors and anyone who is poisoned with the "vaccination" needle. These results are NOT minor; they are not even close to any sort of statistical ambivalence they are CLEAR; the risk is unacceptable to any rational person; so naturally the paper is not allowed to stand. Who has the POWER to do this and WHY are they doing it? 1) "Vaccination" is an EVIL being foisted on the world by the most POWERFUL people in the world. I agree with David Burd, but I'm also in agreement with Jeremy. Its time to do the real studies conducted in the way the Jeremy wants. Its time be just like Paul Thorsen, go Danish* I say. Distort, mislead, get published in some junk tobacco science journal; launder money, commit wire fraud, become a wanted fugitive under criminal indictment and still work for the CDC. That's the real science of vaccinations exactly the kind of science Jeremy believes in. And of course we've got the CDC Verstraeten-Thimerasol studies "thick with motive". Isn't that the hallmark of good vaccination science. 187.5 mcg's of injecteded ethyl-mercury makes a pretty thick motive and thick with motive is the guiding principle of every study the CDC produces. Centers for Disease Control--We're thick with motive and don't you question our motives. One of our thick motives is restrict access to the VSD and force others to use methodologies which should only be used for pilot studies. Yes Jeremy go Danish* and fly the CDC friendly skies you believe in. *Danish refers to the pastry with cream cheese. Bill, why don't you read the studies and find out. You obviously haven't read either Mawson study. It explains and explores your concerns. Plus, you generally won't do a randomized study due to the ethical issues of withholding a vaccine to the control. IMO, it is illogical (and insane?) to go against the precautionary principal and treat vaccines like they are safe without studying the way in which they are implemented. Shouldn't it be the other way around?! The fact that this is hailed as the "first every study" should shock your conscious and motivate you to educate yourself and not play into the all or nothing debate. A representative of the Journal of Translational Science told us “Pilot comparative study on the health of vaccinated and unvaccinated 6- to 12-year-old U.S. children” has been retracted, and it will update us with an explanation. For the second time, a journal has quickly retracted a study that suggested vaccines raise the risk of autism and other neurodevelopmental disorders. Although the titles of the two papers changed, the abstracts were nearly identical. Both studies surveyed the parents of 666 home-schooled children, 39% of whom where not vaccinated, and concluded that vaccination increased the risk of neurodevelopmental problems, particularly if children were born prematurely. This was a project controlled by a man who showered fawning, sycophantic praise on a known research cheat, Wakefield, and was promptly rewarded by anti-vaccine campaigners with money to carry out another of Wakefield’s ludicrous projects. The modus operandi, as usual, is to invite parents to offer detailed, retrospective clinical information about their children, in circumstances where – boxloads of other research shows – their recollections are both full of error and thick with motivation. @Steve - What a general statement, how can you be so sure. IMO the study itself is flawed. All it tells is those that are home schooled. What about the 90%+ of the population that was excluded. Random sample would have been much better. Did the study include why the kids were home schooled? It's very likely as poster said above more autistic kids are home schooled because mom and dad wasn't happy with what they got at public school. Do we really want to bring back small pox, measles, mumps, polio, etc. Do we want infant mortality to increase to levels pre-1930's? It appears that they have pulled down the online pages but missed pulling down the PDFs. Why was this study retracted for a second time? Was a second paper by the same authors also retracted? I don't see an explanation. Unsurprisingly, both studies are no longer available. "Bombshell! Celeste McGovern on InfoWars talking about the first Vaxxed vs. Unvaxxed Study"
I can only speak from personal experience with our unvaccinated son, compared to the health of other vaccinated children in our circle. He is now 4: never been on antibiotics; never had an ear infection; never had allergies; never had pneumonia (granted, he's been sick, but always mild an manageable). Our friends' kids have suffered one or more of these: pnuemonia; constant ear infections resulting in grommets; heavy use of antibiotics and OTC medication to treat various illnesses. I was vaccinated as a child and I had: chronic tonsillitis; kidney problems; asthma... who's to say it categorically was NOT caused by vaccines? Regarding the unvaccinated rate of autism, it also enters my mind that with the use of MMR and other attenuated vaccines there may be some "vaccinated" in the unvaccinated group via horizontal transmission (or whatever term applies). Possibly the use of MMR in children might be the reason we aren't "seeing" more cases of measles in vaccinated adults despite measles being so contagious... we're maybe getting "boosted" (and possibly not without complications) periodically. If I understand correctly that measles has more risk for some complications when a rash does not occur, then intentionally using a form of the virus that does not visibly provoke a case a measles might be a pretty erroneous step (from both a loss of quarantine ability as well as complication risks). The factors of more vaccinated mothers (maybe fathers too), breast-feeding vs. formula impacting the effects of vaccination, and maybe some interaction between maternal immune system ("immune interference?") and vaccine viral exposures possibly in utero and early infancy could be playing a role here. I also suspect our ability to detox is being compromised via vaccination, wireless radiation, all the anti-bacterial obsession. Having amalgam forms that break down more quickly, accelerated by "smart"=stupid radiation, too, as well as metallically laced high-tech devices in our hands, under our pillows, on our walls, around us on all the time waiting for remote control signals, vaccine forms of aluminum, aerosol spraying of who knows what "classified" stuff for "national security" ...some sources of pollution may have gone up significantly, too. In a developing and under developing countries, autism is common issue and your article the age of autism is more helpful. The rate of autism increases but people are alert about this issue now a days. Do you provide any autism related service? When I was a baby back in college; all the biology professors put several deep questions before us. 1.) What would happen if we could be totally free of microbes in our body? Would we be super humans or something not desirable.. (I was a microbiology major), so that came up a lot. 2.) Why did some stomach/cold viruses that caused a mild disease, at least three we knew of so far; suddenly become such a deadly, paralytic, polio disease at the turn of the century? 3.) Why are there mutation within a species? 4.) This question came up the most. . Which is more important; the genetics of an organism, or the environment. The professors would partially answer these questions with guesses. Some guesses were not very good, and had a lot of holes in them. The person that labeled themselves as "FOR RUTH" gave you a link. You will find at that link, that Francis Collins head of the HHS , a man very involved in the genome project , is addressing our government about concerns of discriminating against people in the future for gene susceptibility from the environment. He even talks about individual medicine. Really though, after all the money put into the genome project, they found very few diseases caused by genetics. If there were diseases caused by genetics, it was caused by a misreading , or deletions, or adding of extra genes to the DNA, in other words; mistakes. Mistakes caused by the environment. So the short answer to all of the four questions above, is the environment is everything! The environment does what it does, and the genes of an organism will try to organize in any way they can to push a species forward. That is how evolution works. If you are seeing genes changing a lot in a species, you are seeing a very stressed organism coming from a changing environment. In the case of autism; it is leading back to the effect vaccinations have on microbes, and the immune system. For Question # 1; the very first things I found out when I left college, my first job in restoring land that had been stripped mine; you cannot grow trees, or even grass with out reintroducing microbes. 1). Where on the "spectrum"? From mild Aspergers ranging to severe disability? 2). Did their mothers take the highly pushed flu shot during their pregnancy, the shot definitely having 25 micrograms of ethylmercury (thereby naively thinking their developing fetus was never vaccinated). 3). The flu vaccine shot for babies was not put on the Child Immune. Schedule until the flu season of 2004-2005. Therefore, babies born before 2005 may yet have it given (as it was unofficially pushed), and this would apply to most of the Study's " unvaccinated cohort as their parents would still believe their babies/children were not vaccinated because it was not included in The Schedule. Thus, the 3 "unvaccinated" children listed as being ASD were indeed exposed to mercury-laden flu shots - perhaps many times. To me, this is the logical explanation this Study listing 1.2% of unvaccinated children being listed as ASD, whereas truly vaccine-free children remain by many accounts (Dr. Mayer Eisentein' Home first practice, the Amish, for examples) to have essentially zero rates of autism. And so where do the genetic study factors of late and vac anti- vac study factors meet? I am not a scientist nor a doctor, but have worked with many of these individuals for years and years. Did anyone stop to think that the greater the population the greater the number of ASD diag there will be....?? More genetic factors passed down therefore more people affected by additional environmental factors equals more diagnoses!! Thank you, Age of Autism! Now, hopefully there will be more such studies. Victory! Even if it is ignored by media (my bet) the data is now available. I've already shared the PDF! As a physician who worked in pharma drug development, the "dose response" is a powerful finding: that "partially vaccinated" group had intermediate levels of chronic illness is a very inconvenient fact for pro-vaxxers. Also, ASD prevalence in vaccinated 3.3% is consistent with the estimates of CDC (1/68 boys+girls) and DHHS (1/45 boys+girls) with acknowledged 4x higher rates in boys (ADS in 1/32 boys according to CDC). Thank you so much for publishing this article! We have a 19 year old daughter who has never been vaccinated and I have been wondering if there were studies out there like this. I hope there will be a lot more in the future! Thank you for this article that is like a cool breeze ruffling a sweltering day... good news. Of course, we don't know yet if this will turn the tide. But I'm with Kennedy on that one: when the tide turns its going to be more like a tsunami because what counter evidence is there. Great to see this out. The study indicates that vaccination wasn't associated with increased risk for other conditions like diabetes. The small sample size certainly hides associations for such relatively rarer conditions (diabetes being ~0.25% of children, or less than 2 children in this study). As for increased rates of Chickenpox, Pertussis and Rubella among the unvaccinated, it would be interesting in future studies to see the relative rates for these diseases when lumped with their differential diagnoses. This would help reduce (though likely not eliminate) the impact of diagnostic bias of VPDs based on vaccine status. This may break new ground, but I have serious problems with this paper; my biggest objection is their Introduction that repeats the mantra that bows to the false mantra that 'Vaccines are the among the greatest achievements --- blah, blah, and accepting the false propaganda about 732,000 premature deaths (over 19 years) and the savings of $1.38 trillion," ALL this PRAISES the child vaccines, and completely ignores the actual many $trillions of dollars spent (and incalculable heartbreak) to treat the many, many millions of babies and children so VACCINE-DAMAGED, and directly killed by the vaccines. For the last 20 years now, close to 1/2 of all American children have been damaged for life (2 million of the 4 million babies born each year) - amounting to 40 million! I suspect the authors thought leading off with these (false) attributes of vaccines would let their paper be published in major journals -- whereas in fact their study shows the exact opposite of the praise stated in their Abstract, and, Introduction. Of course a diligent reading of its content and conclusions with its stats collected over 12 months starting June, 2012 reveals (partially) the truth. Vaccines are among the greatest achievements of biomedical science and one of the most effective public health interventions of the 20th century . Among U.S. children born between 1995 and 2013, vaccination is estimated to have prevented 322 million illnesses, 21 million hospitalizations and 732,000 premature deaths, with overall cost savings of $1.38 trillion . About 95% of U.S. children of kindergarten age receive all of the recommended vaccines as a requirement for school and daycare attendance [3,4], aimed at preventing the occurrence and spread of targeted infectious diseases . Advances in biotechnology are contributing to the development of new vaccines for widespread use ." Yes, we've had all of those - ear infections, hayfever (put an end to my career as a school music teacher), and thankfully mild autism. I feel very moved reading this. Vindication at last. Heartfelt thanks to all those who funded this, and those who made it happen. Just received Sharyl Attkisson's email alert for upcoming show on Sunday ..
"When is science not to be believed? You’ll be shocked to hear from respected medical insiders who say half or more of the research doctors rely on that’s published in prestigious, peer-reviewed medical journals is wrong, riddled with errors, or compromised by financial conflicts of interest. How could this happen? And what can you believe?" Apparently .. "fake news" isn't the only more or less new phenomenon in the world today .. "fake science" has been around a lot longer .. with probably far more injurious consequences for generations to come. "These findings, especially the significant link between autism risk and vaccination, are certain to increase pressure on public health officials inside and outside the government to acknowledge the legitimacy of a concern they have long dismissed." Using history as our guide .. I suspect this study will be IGNORED by "public health officials inside and outside government" .. as they have so artfully managed to do with other URGENT calls for further investigation and research over DECADES. .. including present whistleblower .. Dr Thompson .. whose rumored to have witnessed .. and .. was asked to participate in the CRIMINAL destruction of critical data regarding the significantly higher risk of African American children for autism. What is needed is a CRIMINAL RICCO investigation by the US Dept of Justice .. of the entire pharmaceutical/public health SWAMP. Hey .. I can dream can't I? Glad to see that Mawson was able to find a journal that would publish it. - the low number of respondants (n=666), despite the fact that the majority of the findings are considered as statistically significant. - the fact that the study was conducted via a survey which will be argued that it is prone to bias. They can criticize all the want, but until they are able to produce a comparable study that shows otherwise, I'll be waiting. I really hope that this paves the way for scientists to try to "prove it wrong". Bring on the vaccinated vs unvaccinated studies!!! That hay fever number is just a real wower. I remember reading all the westerns as a child, and watching all those old TV shows. There was some weak ninny, with a fancy hat, coat, glasses and allergic to everything. That was always so funny. So, I assumed it was not a common thing at one time. Then I as a child got the worse allergies, and you know, it was not as funny as it was on the TV shows. .
Small sample size - 666 - Okay passing on any snarky remark here on that one, but a very appropriate number. I suppose 6,666 would be better. Better still 66,666. And you still would not hear a word about it, nor anyone willing to publish it, report it, show it. Pharma has it all zipped up tight. They think. We now have our vax and unvaxxed study. I am so angry, I want some punishment for this mess. The last time I saw my children's pediatricians was down in the basement of their lab. I don't remember how I got down there, but they both came in and I was there. They cowered down and looked nervous and guilty as two egg sucking dogs. That was in 1999. But they darn well knew in 1986, and they went right along with the increased vaccinations of the 90s. They even participated in the chicken pox trials. Lots of people are so very guilty. I guess they forgot what Jesus Christ promised them for hurting a child. They are in trouble and not just by parents. You 're right Steve, the numbers are staggering. 1 in 10,000 in the old days. 1 in 33 for kids born 6 years ago. I would submit that it's 1 in 10 when you count the entire spectrum (ADHD to SIDS). 2 or 3 of our kids in every class in America. Ken Frazier, CEO of Merck, is a criminal of the worst type and Julie Gerberding is right there with him. It's nice to learn about this study, but sad to learn that two journals wouldn't publish it! Meanwhile, I would also want to know if those with ASD were born of mothers who had been vaccinated--for the flu, gardisal or anything else--during their respective pregnancies! Finally, no one seems to complain when funding sources are DRUG companies, but when funding sources are from those that are concerned about children's health...that's a potential issue? What on earth are "they" talking about? Who wouldn't be concerned about the dismal state of the health of today's children in America? High rate of autism in homeschool population is not at all surprising. Many parents resort to homeschooling their autistic children after trying and failing to get adequate services through their IEPs at school. And if you went back two or three generations with and include unvaccinated parents to remove the epigenetic damage, the numbers would be far more profound.